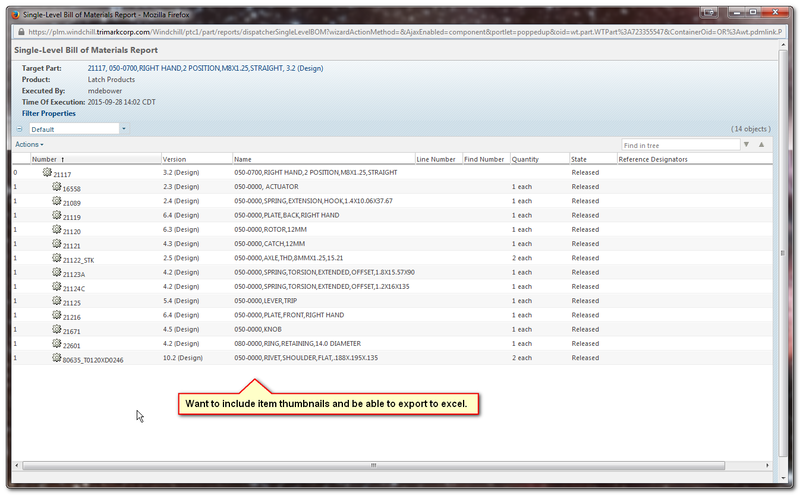 Add functionality to allow use of thumbnails in reports. My company has a use case to have a simple BOM / structure report that includes a small thumbnail of the component. Currently in Windchill 10.1 this is not possible. This enhancement idea is to add this functionality to allow thumbnails to be used in reports.